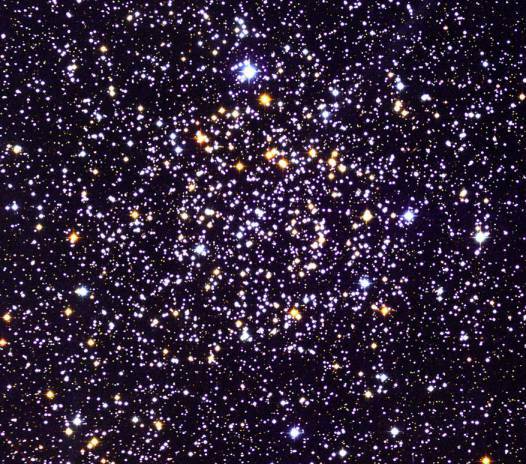 Explanation: At 1.6 billion years old, this cluster of stars is beginning to show its age. 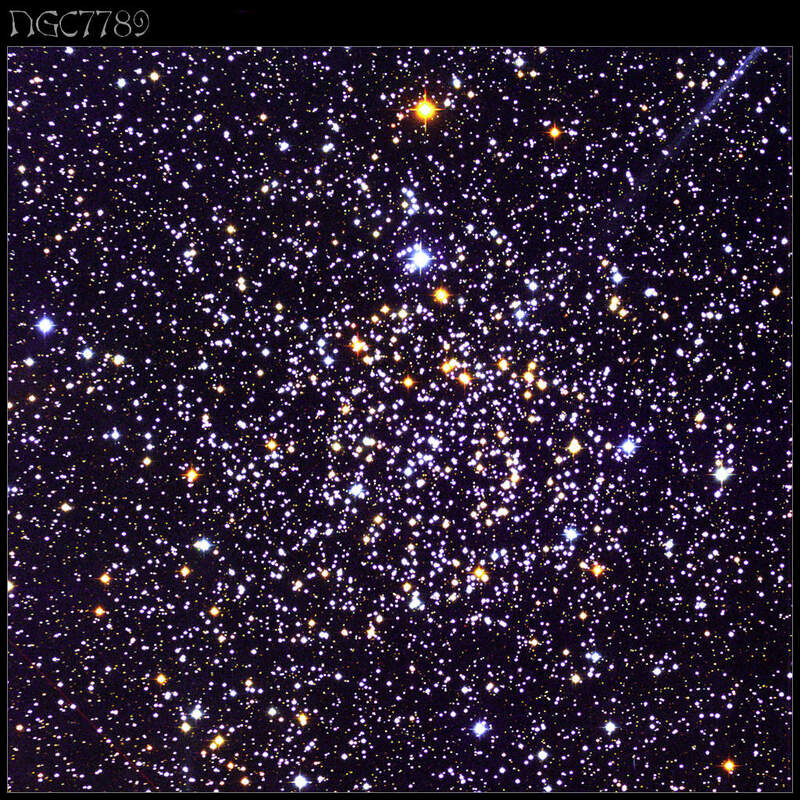 NGC 7789 is an open or galactic star cluster about 8,000 light-years distant toward the constellation Cassiopeia and lies near the plane of our Milky Way galaxy. All the stars in the cluster were likely born at the same time but the brighter and more massive ones have more rapidly exhausted the hydrogen fuel in their cores. These have evolved from main sequence stars like the sun into the gaggle of red giant stars apparent (with a reddish-yellow cast) in this lovely composite color image. Comparing computer models to observations of the red giants and main sequence stars astronomers can determine the mass and hence the age of the cluster stars just starting to "turn off" the main sequence to become red giants.